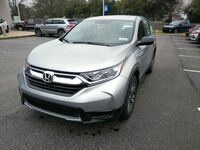 Thinking about the 2019 Honda CR-V for your next vehicle but want to know how it compares to the competition? You’ve come to the right place! In this model comparison page, we take a look at the 2019 Honda CR-V compared to the 2019 Hyundai Tucson. 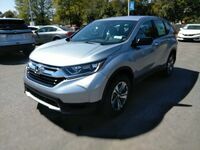 While comparing these two SUVs, we found that drivers who are looking for a vehicle with more power and more cargo capacity would be better off with the 2019 Honda CR-V. The engine of the CR-V provides 184 horsepower compared to the 161 horsepower from the Tucson. Along with this power difference, the 2019 CR-V also provides over ten cubic feet more of cargo space. 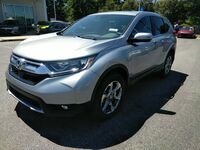 Continue reading to view the vehicle comparison and to learn more about the 2019 CR-V or click on the button below to view our current Honda CR-V inventory! The more room, the better. 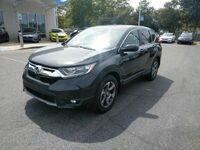 Although the 2019 Honda CR-V only sits five passengers, it has plenty of cargo space to haul all of your gear. When the back seat is folded down, drivers will be left with 75.8 cubic feet of cargo space which will allow them to haul larger items. With four different trim levels to choose from, drivers will have their choice to find a model that fits both their needs and their budget. Honda Sensing® is available with the 2019 CR-V. This suite of safety features includes Collision Mitigation Braking System™, Road Departure Mitigation System™, Adaptive Cruise Control and Lane Keeping Assist System. These features are in place to assist drivers with what they might not see around them. 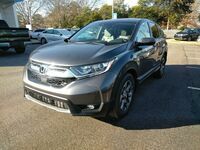 There are plenty more features that the 2019 Honda CR-V has to offer. 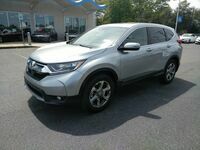 If you are looking for more information regarding the CR-V, be sure to click on the button below! 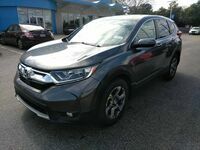 Interested in a 2019 Honda CR-V?